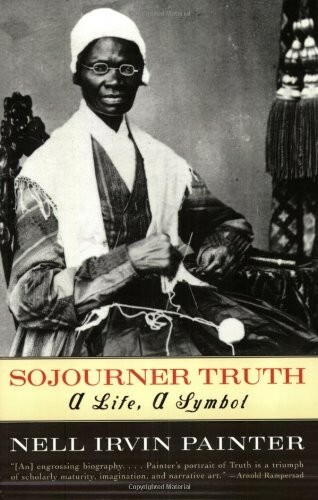 Sojourner Truth: ex-slave and fiery abolitionist, figure of imposing physique, riveting preacher and spellbinding singer who dazzled listeners with her wit and originality. Straight-talking and unsentimental, Truth became a national symbol for strong black women — indeed, for all strong women. Like Harriet Tubman and Frederick Douglass, she is regarded as a radical of immense and enduring influence; yet, unlike them, what is remembered of her consists more of myth than of personality. Though she was born into slavery and subjected to physical and sexual abuse by her owners, Sojourner Truth, who eventually fled the South for the promise of the North, came to represent the power of individual strength and perseverance. She championed the disadvantaged — black in the South, women in the North — yet spent much of her free life with middle-class whites, who supported her, yet never failed to remind her that she was a second class citizen. 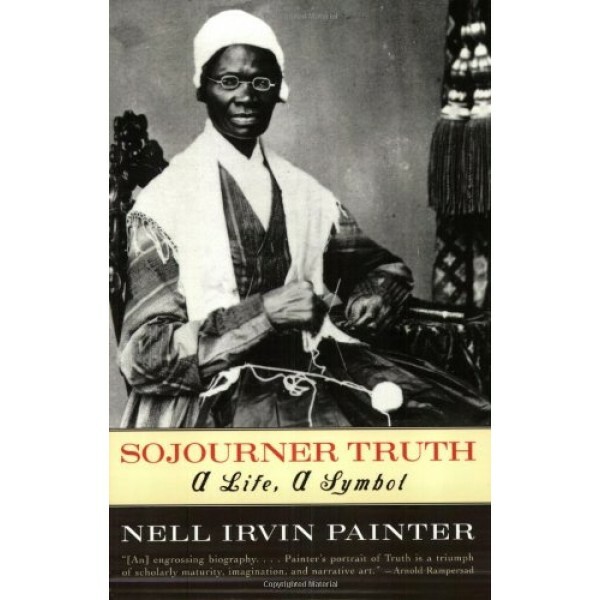 Slowly, but surely, Sojourner climbed from beneath the weight of slavery, secured respect for herself, and utilized the distinction of her race to become not only a symbol for black women, but for the feminist movement as a whole.